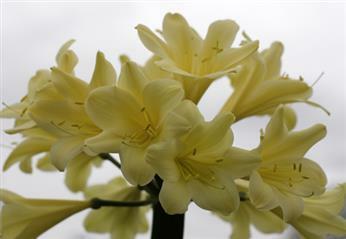 This listing is for one mature Clivia miniata – (Natal Yellow x Pat’s Gold) x TK Yellow GT. This plant is from KZN seed of 2013 making the plant a 5 year old. It has 15+ leaves though some have been removed for aesthetic reasons. The plant is large enough to flower this season. This is a Group 2 yellow plant. Flowers are expected to be yellow, perhaps with a green throat.